“We’ve created this brotherhood on set,” says Max Thieriot (left, with AJ Buckley). One way the actors bond? Sharing real-deal SEAL training and the pain of workouts that keep them military-ready. Plus, a hockey net the guys use onscreen also gets some play when cameras aren’t rolling. “Everything we do is legit,” says David Boreanaz (left, with Thieriot and Neil Brown Jr.). Example: Brown is holding a working military radio. The dialogue is recorded through those comms and used in the show. They even use night-vision goggles when shooting after dark. “When people who are serving watch our show and say they can relate, that’s big,” Boreanaz says. “It’s important we understand what these folks go through.” Sometimes the actors understand more than they’d like. “Carrying heavy gear, running up and down hills—we’re pretty sore at the end of the day,” adds Boreanaz with a laugh. “Can do—that is Davis’s wiring,” says Toni Trucks of her character, logistics specialist Lisa Davis. “She’s respected, smart and able at any moment to work above her pay grade.” The actress’s love of the military runs deep: Her ancestors fought for the fledgling U.S. in the Revolutionary War. Brilliant bomb- sniffing dog Cerberus (a Belgian Malinois named Dita) takes center stage on life-saving recons under the command of Brock, played by Justin Melnick (holding the tennis ball), her real-life trainer and handler, and a certified police officer. Ever wonder what goes into the making of CBS' military drama SEAL Team? Well, lucky for you, we have a special behind-the-scenes look at the actors on set. 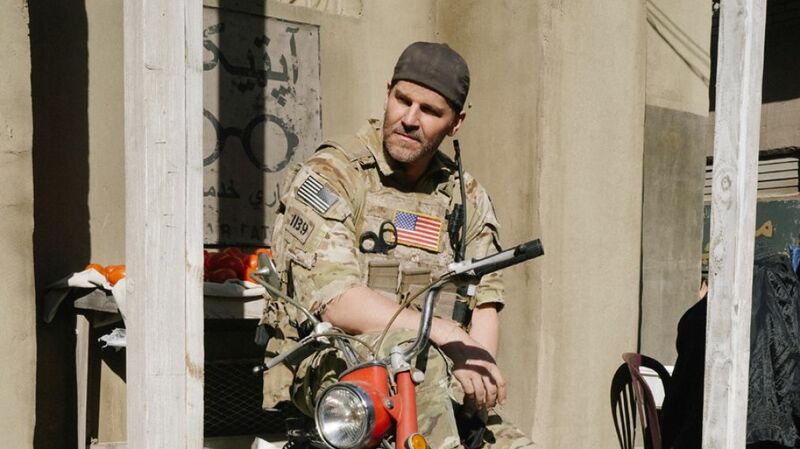 In the above gallery, David Boreanaz and crew share what makes the show authentic and why their representation of the military is so important. The military series is coming back for a second season. Click through the photos above for your all-access pass to what's really happening when the cameras are rolling—and when they're not.